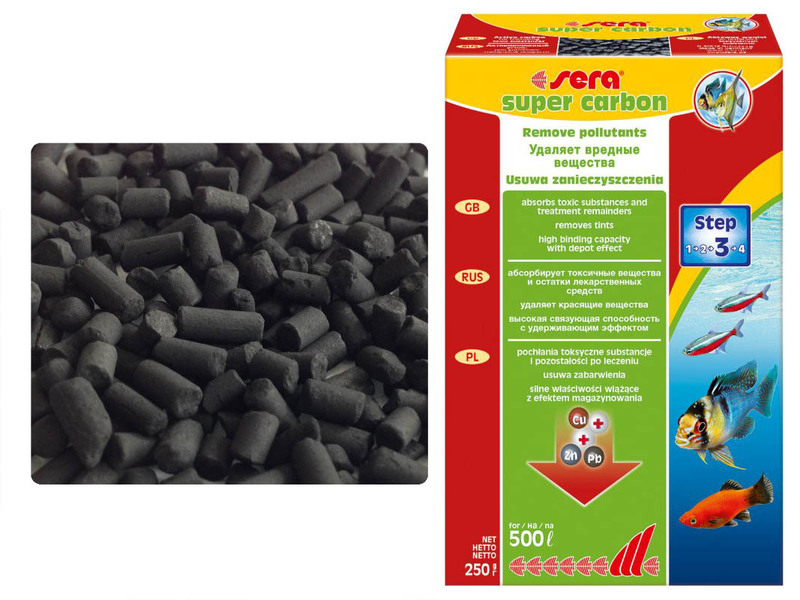 The special activated carbon sera super carbon removes these remainders quickly, effectively, without any side effects and pH neutrally. By using the carbon pellets, the sometimes environmentally dangerous substances can then be disposed of with the domestic waste entirely without any problems and environmentally friendly. 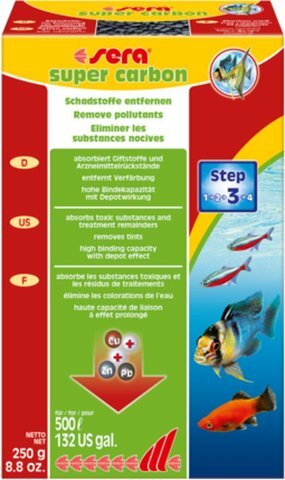 sera super carbon is also excellently suitable for using in acute intoxication cases (e.g. when suspecting pollutants have entered during renovation work, from unsuitable decoration items, overdosages etc.) as well as for removing annoying water tints.